After the Fidesz party secured a strong majority in the country's parliament in Sunday's elections, there have been reports that the new government could adopt a legislation to ban migration-friendly, non-governmental organizations on Hungarian soil. The announcement came a day after Hungary's Prime Minister Viktor Orban won a third term, with his Fidesz party securing a strong majority in the country's parliament. A corresponding bill has been a part of Orban's anti-immigration campaign, targeting US billionaire and philanthropist George Soros, who has been promoting a policy of open borders for migrants in Eastern Europe. Earlier in the year, Orban's government pledged to push the "Stop Soros act" through parliament, which would allow authorities to ban any non-government organizations (NGOs) which encourage migration. The bill was submitted to parliament in February. 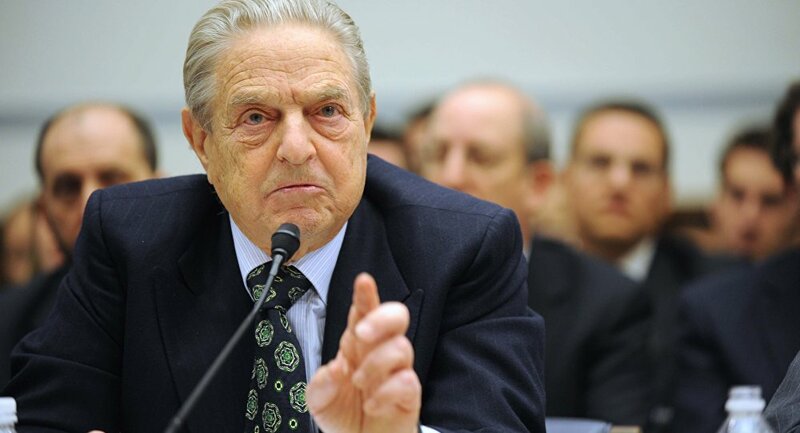 George Soros, in turn, has repeatedly criticized Viktor Orban's government for its policies and called the campaign against him a "deliberate misrepresentation." In an interview with the Financial Times in November last year, Soros accused the Hungarian prime minister of "misleading the population," adding that "it's a tragedy for Hungary that its government seeks to stay in power through hate-mongering."